Recap at 11:05pm for Season 3, Episode 4- "Say Hello to My Little Friend". Lisa Kudrow (Phoebe from Friends) will be introduced as Josephine Marcus, a Democratic Congresswoman. She has a recurring role in this season of "Scandal." According to E! Online Scoop: The character of Kudrow is unlike her Friends' character as she has temper issues. 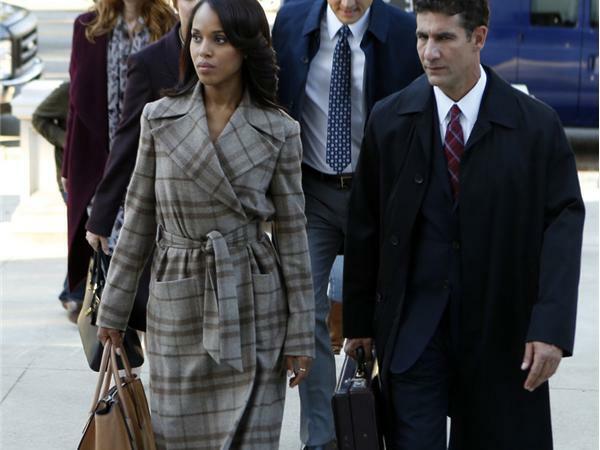 The preview of the fourth episode of "Scandal" suggests that Olivia's (Kerry Washington) Pope & Associates is finding it difficult to bag a client, probably because of Olivia is President Fitz's (Tony Goldwyn) mistress revelation. The team takes-up the case of a philandering senator. The Senator looks like is facing a trial for allegedly killing a young girl. The promotional photos released by ABC suggest that Huck (Guillermo Diaz) will be having a hostile interaction with Quinn (Katie Lowes), which will lead to something?